Overview: For the first time in her career, Bencic is the number one seed at a WTA tournament. The Swiss player made a decent start to the year notching up seven wins down under. It took Bencic until April in Charleston to produce the same number of wins on the tour in 2015. While her performances haven’t quite matched the lofty heights of her sensational second half of 2015, Bencic has been toughing out wins and getting the job done; she has won her last 15 three set matches on tour. 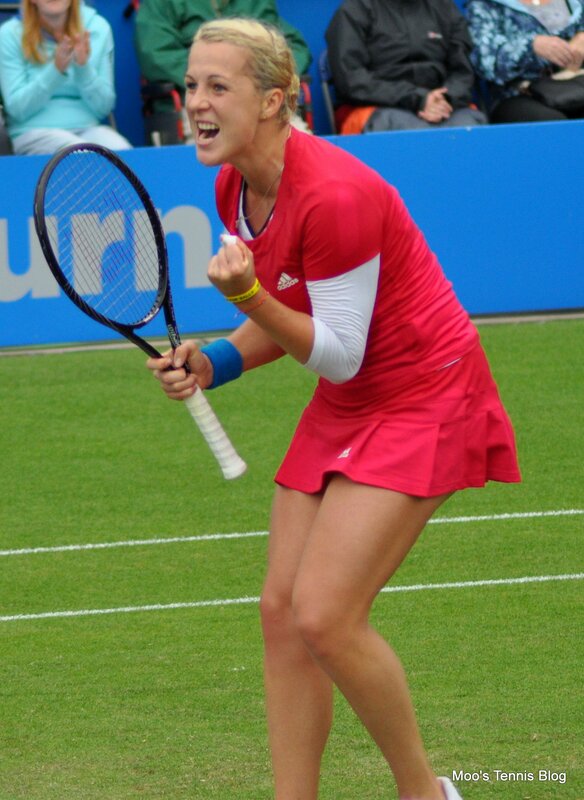 In Fed Cup singles action at the weekend, she defeated both Andrea Petkovic and Angelique Kerber in straight sets. Draw Projections: Bencic’s first match of the week in St.Petersburg will be against Annika Beck or Lucie Hradecka in what will be a first career match-up either way. Overview: Vinci reached the third round of the Australian Open for the first time since 2013. However, she will no doubt have been disappointed not to have gone further after losing out to Anna-Lena Friedsam in three sets, having won the first set, 6-0. Vinci looked in superb form in Brisbane, beating Jelena Jankovic and Dominika Cibulkova en route to the quarter-finals where she lost to the eventual champion, Victoria Azarenka. Draw Projections: Vinci’s first match of the week in St. Petersburg will be against Jelena Ostapenko or Yanina Wickmayer. She is projected to meet Anna Karolina Schmiedlova in the quarters… all in all, a favourable draw for the Italian. Overview: Wozniacki made a promising start to her 2016 campaign in Auckland, dropping just 11 games in her first three matches. However, a straight sets defeat to Sloane Stephens in the semi-finals, a first loss in six matches to the American, and a first round defeat at the Australian Open to Yulia Putintseva lowered early expectations. The loss to Putintseva was a tough one as Wozniacki wasted a set and a break lead before losing, 6-1 6-7(3) 4-6. It’s not the first time in recent months that Wozniacki has failed to capitalise on a winning position. The Dane has committed to a tournament every week up to Miami; here’s hoping this is a sign that she’s feeling fit and healthy! Draw Projections: The draw hasn’t been too kind to the Dane as she could play Dominika Cibulkova (who plays Evgeniya Rodina in the first round) in the second round. While Wozniacki leads that head-to-head, 9-3, Cibulkova is the type of player, if on her game, that can cause her problems. She is seeded to meet Kristina Mladenovic in the quarter-finals. Overview: Ivanovic righted the ship in Melbourne after an extremely shaky start to the year. Ivanovic lost out to two big servers, Naomi Broady (5-7 4-6 in Auckland) and Karolina Pliskova (4-6 2-6 in Sydney) in her first two matches. The Serb finally got on the board in Melbourne with two straight sets wins over Tammi Patterson (6-2 6-3) and Anastasija Sevastova (6-3 6-3). Ivanovic improved with every match and played a fine first set against Madison Keys in the third round. 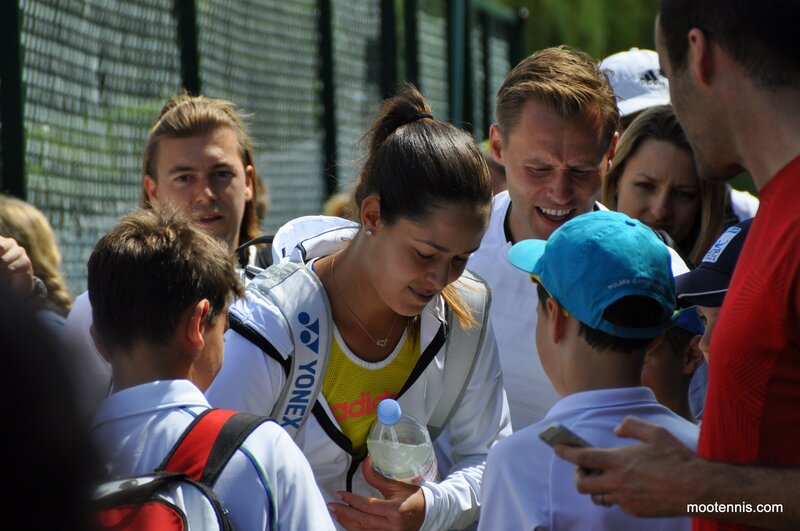 While she ended up losing the match, it was a mentally and emotionally draining situation for Ivanovic who watched on as her coach, Nigel Sears, was taken unwell in the stands. Draw Projections: Ivanovic’s first match of the week in St. Petersburg will be against fellow compatriot, Bojana Jovanovski or Margarita Gasparyan. The world number 20 is seeded to meet Alizé Cornet in the quarter-finals. Anastasia Pavlyuchenkova (5): The Russian player continued her disappointing form at the Slams in Melbourne where she lost a tight three setter to Lauren Davis in the first round. Pavlyuchenkova hasn’t reached the third round of a Slam since the 2014 Australian Open. Despite the loss, her form has been vastly improved over the last six months and some of her best results have come indoors; she won Linz at the end of 2015 and reached the final of Moscow in the very last week of the year. She will play a qualifier in the first round in St. Petersburg. Kristina Mladenovic (7): Going 0-2 through her first two tournaments in Brisbane and Sydney, Mladenovic stepped up her game in Melbourne. The Frenchwoman beat Dominika Cibulkova in the first round, snapping a five match losing streak against the Slovak player, and went onto reach the third round of a Grand Slam for the fourth consecutive time. In Fed Cup action, Mladenovic lost her first match against Camila Giorgi, 6-1 4-6 1-6 but came back on Sunday to beat Sara Errani in straight sets. Mladenovic will open against a qualifier in St. Petersburg. Alizé Cornet (8): The Australian Open was a case of what could have been for Cornet. After winning her first title since 2014 in Hobart and blasting through her opener in Melbourne for the loss of just one game, the Frenchwoman looked to be in prime position in her section of the draw to take advantage of Simona Halep’s early exit. However, she came unstuck in the web of Shuai Zhang’s tremendous fairytale run, producing an error-strewn display against a confident opponent. In St. Petersburg, Cornet plays Elena Vesnina in the first round; Cornet leads the head-to-head, 4-2, although Vesnina won their last encounter in Strasbourg last year in three sets. As discussed above, if Cibulkova gets past Rodina in the first round then she would play Wozniacki. I don’t think Cibulkova has been particularly impressive this year so far but based on Wozniacki’s recent jitters at front running, she would stand a fair shot at the upset if that match took place. I quite like Timea Babos to do well in the bottom half of the draw; the 22-year-old is at a career best 51 in the rankings and has made a promising start to the year after reaching the semi-finals in Shenzhen. I’d fancy Bencic or Pavs to win St. Petersburg… i’ve gone for BB in the end after a super weekend in Fed Cup. I’ve been impressed how she is toughing out wins and right now, early into the season and with plenty of matches under her belt, she’s the player i’d have most confidence in. I have absolutely no idea who comes out of Wozniacki’s quarter! In the bottom half, I like Vinci’s draw. Ivanovic is still a question mark for me, but the draw is there for her to have a good run. Cornet is looking much more driven and focussed this year so that could be a fun match in the quarters against Ivanovic if, lo and behold, they make it there. Who do you think will win St. Petersburg? Have your say in the tournament poll below and as always, comments are appreciated! Follow Moo’s Tennis Blog on Twitter (@Moo_Tennis) and Facebook. A Moo’s Tennis Blog league is now up on the Tennis Draw Challenge for those interested… full details HERE. Photos in this post by mootennis.com and draws available on the WTA website. February 7, 2016 in St. Petersburg, Tournament Preview, WTA. ← Tennis Draw Challenge – Moo’s Tennis Blog league now set up! Yep I like Nastia at home and indoors but I went for the ‘safe’ option! Well I went with the ‘unsafe option’ I probably need my head read:) Pavs for the win,indoors kind of swayed my vote,when she is ‘on’ her game she is delightful to watch,one of the cleanest strikers of the ball in the WTA. haha fair enough, Margaret! And no, I understand, I nearly went for Pavs to win! If Pavs gets to the QFs then I think she stands a good chance but getting there is the hard part. I do really like Bencic at the moment and I feel like she’s getting better and better with every match. I agree with Bencic d Vinci. I don’t understand why Pliskova isn’t here for this one actually as she’d be my pick to win over any of these ladies. I’m also surprised that Pliskova isn’t here but pleased to see her take a week off from tournaments. Andrew I am pleased Pliskova didnt play this tournament she was playing Fed Cup competing both in singles and doubles for Czech Republic.